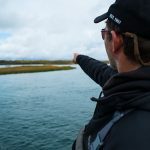 Over the 33-year history of Bristol Bay Lodge we have been able to assess exactly what our guests want and we have designed and fine tuned a fishing program that maximizes the opportunities in terms of variety of rivers fished, species caught and even methods of fishing during any given week. If you want to catch the same species all week long, we are not the lodge for you because our program does not provide for this. 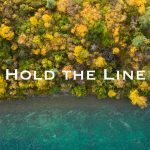 However, if you want the full Alaska experience, seeing lots of different rivers and catching many species in one day (and often as many as you could handle in one day or even a week), we are the lodge for you! There are many choices on a given day. For example, between the lower river is full of fresh silvers while the upper river with large rainbows, or there are spots on the river riddled with char alongside many other species. 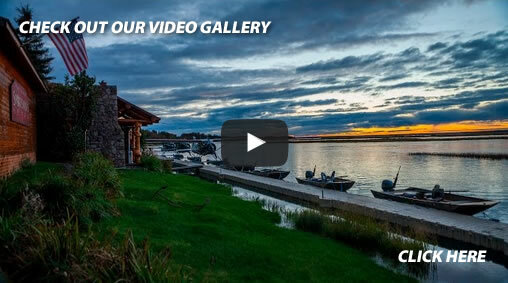 We believe that with the quality of fishing we enjoy, Bristol Bay Lodge guests deserve variety and a broad experience of what Alaska, at her best, has to offer! 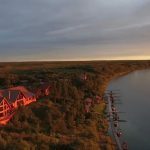 In addition Bristol Bay Lodge guests have the opportunity to fish two of Alaska’s most renowned rivers, the Agulowak and the Agulopak, inside Wood-TikChik Park. These rivers provide productive fishing for rainbows, grayling, char, and dolly varden all summer long. They are also host to the single largest sockeye run anywhere in the world. On average, several million fish return to the Wood-TikChik lakes system and associated rivers each year. The first sockeye are usually caught around the 4 th of July. Dry fly fishing, nymphing, and streamer fishing are all productive techniques at different times during the summer and our guides will assist you with choosing the best technique and flies. 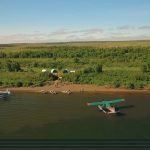 Beyond our exclusive overnight camps, we also maintain two separate spike camps (small resident camps for guides allowing us to be in touch with the movements of the fish on daily/hourly basis and get correct weather information) on the Togiak River inside the Togiak National Wildlife Refuge. One camp is based on the lower river and one within the wilderness boundary on the upper river. Our camp on the lower river offers fishing for all five species of Pacific salmon, rainbow trout, and also a prolific run of dolly varden. Our upper river camp is dolly varden and silver salmon heaven! 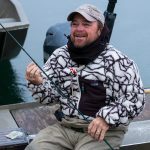 Both Togiak camps are near several smaller tributaries that can offer excellent small water rainbow trout and dolly (and great silver) fishing at different times of the year.